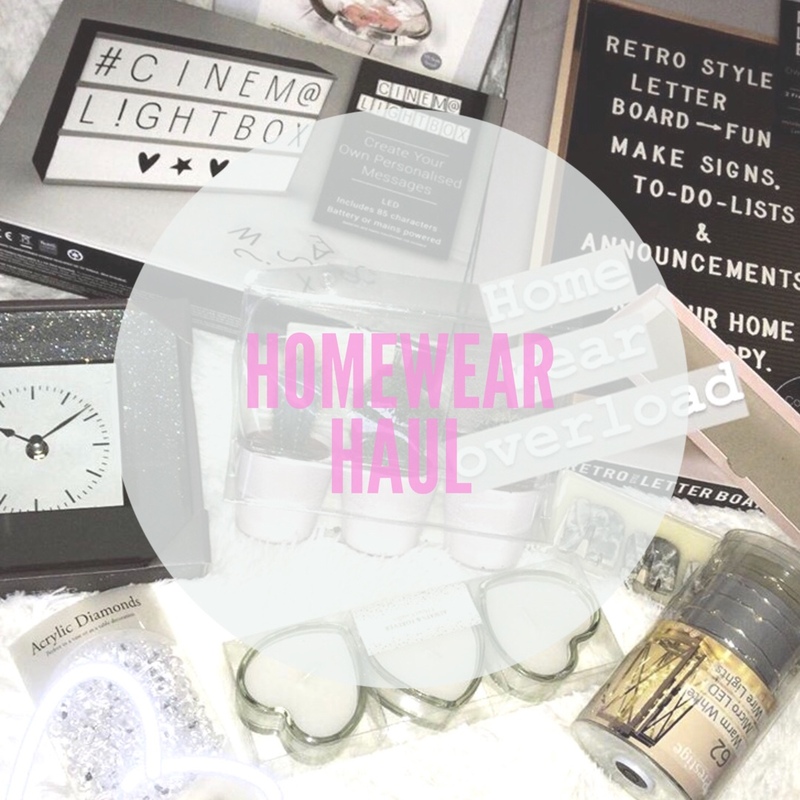 So this week I splashed the cash and splurged out on a whole load of homewear products. First up is this amazing throw for my bed. It’s so soft and the most comfortable blanket I have ever lay on. My dog Mollie hasn’t left my bed since I bought it! It is from Home Bargains and is probably the best £10 (£9.99) I have ever spent! The next product is new clock. I haven’t had a clock in my room since I were very young and decided it was time to get one back. I am due to get my room re-done and I am thinking of have a glittery theme, so this fits perfectly. This clock is also from Home Bargains. Up next is a set of 3 candles from Home Bargains too. These heart shaped candles are so cute and look like they will last quite a while. I always love to have plenty of candles in my room to make sure it is very holy and cozy. Although these don’t have a specific sent, they still smell nice. While on holiday i picked up this set of 7 super cute marble elephants. As soon as i saw them on the shelf i HAD to get them! I am still trying to find room to put them up in my room but i definitely will be putting them someone on show. Next up is some cacti i picked up while at Ikea. They are a perfect size and in such a cute colour pot. They come in a pack of 3, which are all different shapes. I have had some of these before and they lasted so long so i was very excited to pick up some more. Another item i bought at ikea was this lamp. It is the same colour as the cacti meaning it will match perfectly. I think it is a really cool shape and not just your average stand lamp. It only cost me around £10 too! The final 3 things i bought from Home Bargains to go together. First up is a flat glass bowl. is is a perfect size to fit on my shelf and not too big that it will look out of place. I have put these acrylic diamonds in the blown along with the fairy lights i bought too. It looks so cute and makes the diamonds sparkle all over my room. I love this! I’ve been on the search for fluffy blankets and letter boards lately—still trying to find on in the US that isn’t around $50. it looks like you found some amazing stuff at a bargain! I just discovered your blog. Love the elephants! Also, I’m jealous that you live near an IKEA. Thanks for sharing, Liv! These are so cute! I love the throw, I have the same one 😍😍 shopping for home decor is my fav! Decorating is one of my favorite things. You have so many great finds! Follow Liv's Little Blog so you don't miss out! Enter your email address to follow Liv's Little Blog and receive notifications of new posts by email.